Voice Control in Home Automation: Fad or Future? With the rise in popularity of Apple’s ‘Siri’ voice control, it was only a matter of time before voice control was tried in home automation environments. Recently we have seen a number of videos demonstrating voice control for home automation. Individuals and companies have been experimenting with voice control for a while now. 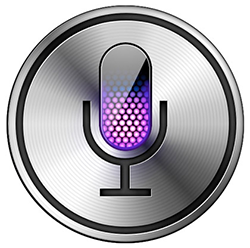 Even we (CommandFusion) have a module that makes use of Apple’s voice recognition system which allows implementation of voice control in iViewer and many people do use it. Which Version of iViewer Should I Choose? With the recent release of iViewer Lite, there are now effectively three different versions of iViewer to choose from. In Part 1 of this series we looked at the advantages of using smartphones and tablets in home automation systems, in Part 2 we looked at the disadvantages. Today we take a look at the misconceptions. Up until recently, integrators and end users had no choice but to use a dedicated and often proprietary touch panel to control their home automation or control system if they desired a comprehensive control interface.